Olga Gyarmati was one of the most successful and popular athletes in post-war Hungary. A multiple national champion in sprint and jumping events, Gyarmati represented her country in three Olympic games, winning gold in the inaugural women’s long jump competition in 1948. 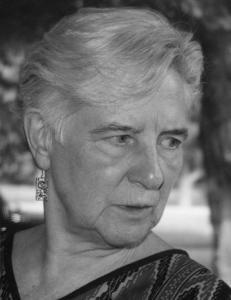 Gyarmati fled Hungary with her husband, the novelist Tamas Aczel, during the 1956 revolution, eventually settling in Hadley, Mass., in 1966 when Tamas joined the faculty at UMass Amherst. 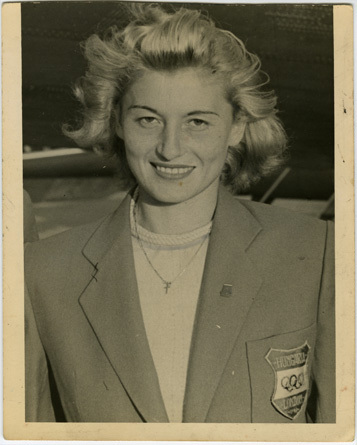 The Aczel collection includes a small quantity of material relating primarily to Olga Gyarmati’s athletic career and particularly to her participation in the 1948 Olympics. Included are the gold medal awarded to her at the London games along with the printed certificate; a silver box commemorating her victory, presented to her by the Hungarian Workers’ Party; a scrapbook and two photograph albums; and a landscape painting done by Gyarmati in later life. Influenced by the arts and crafts movement, Frances and Mary Allen began taking photographs of their native Deerfield, Mass., in the mid-1880s. 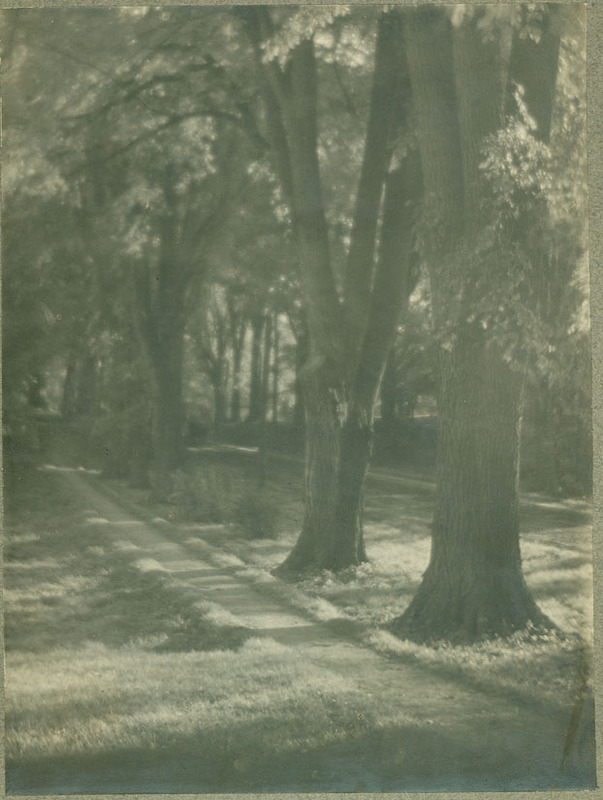 Displaying a finely honed pictorialist aesthetic, the sisters specialized in views of Deerfield and surrounding towns, posed genre scenes of life in colonial times, and the local scenery, earning a reputation as among the best women photographers of the period. The Allen sisters photograph album contains ten gelatin developing out prints of street scenes in Deerfield, ca.1900-1910. Among these are two shots of the house they inherited from their aunt Kate in 1895, which thereafter became their home and studio. Amelia Earhart’s Underground Flying Society, (a.k.a. the Amelia’s) was a lesbian social club based out of Lebanon, N.H., serving the Upper Valley area of Vermont and New Hampshire, and beyond. Reachable via an unnamed post-office box, the club began in 1979 and provided members not only with much sought after social, leisure, and entertainment opportunities, but also a unique community of peers for discussion and activities around political, educational, health, and legal issues of importance to women and lesbians. Like their famous namesake, the Amelia’s did not shy away from risks in supporting women, the feminist movement, or actions promoting and educating about lesbians. The group often overlapped with feminist and lesbian print shop and publishing company, New Victoria Press, and the Amelia’s often used the New Vic building for their meetings. The Amelia Earhart’s Underground Flying Society Records consist of over 25 issues of the “Amelia’s Newsletter” from 1986-2000; two clippings covering news related to the group, including the repeated vandalization of their “Upper Valley Lesbians” Adopt-A-Highway Program sign; a 1994 audiocassette of interviews for an oral history of the Amelia’s; and a VHS tape of a community event held in 2003 to reflect on the women’s movement in the Upper Valley in the 1970s and 1980s. The newsletter offers detailed documentation of the group and their concerns, including calendars of their social gatherings and other local, regional, and national events of interest, and recaps of relevant news to the lesbian community including updates about politics, legal issues, civil rights and benefits, marriage, discrimination cases, women’s health, education and school issues, and lesbian focused social and entertainment events. Vivian Barfield was the first female Assistant Athletic Director at the University of Massachusetts Amherst. Dedicated to the advancement of women’s athletics, Barfield began her tenure at UMass in January 1975. Charged with upgrading the women’s’ athletic program and contributing to the decision-making process in men’s athletics, Barfield made strides to bring UMass into compliance with Title IX of the Higher Education Act of 1972. Barfield was ultimately unsuccessful in her efforts after a disagreement with Athletic Director Frank McInerney about her job description led to her resignation. After leaving UMass, Barfield became the Director of the Department of Intercollegiate Athletics for Women (established 1975) at the University of Minnesota. Although Barfield’s tenure at UMass was relatively brief, her papers are representative of a specific time in the country and at the University. With materials relating to Title IX, affirmative action, and perhaps most importantly, Barfield’s class action complaint against the University, the Barfield Papers speak to issues of second-wave feminism, women in sports, and discrimination at UMass in the mid-1970s. Born in Groton, Massachusetts. In 1930, Mary Taylor became a student of botany at Massachusetts State College in 1930. While there, she struck up a romance with Professor Ellsworth “Dutchie” Barnard, and the two were married on December 31, 1936. The Barnards served on the University Millennium Time Capsule Committee and contributed memorabilia to the capsule. Both were Friends of the Library and for many years, Ellsworth served on the library’s Board of Trustees. 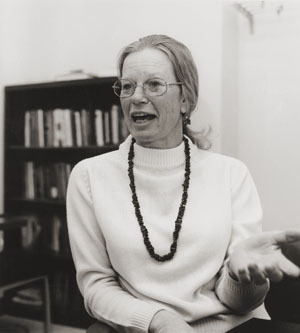 The Mary Taylor Barnard Papers include notes from Barnard’s Botany classes, newsclippings about the University of Massachusetts Amherst, and documents related to the Friends of the W.E.B. Du Bois Library. Born in 1908 to Louis and Sarah Kessel Burgett, Katherine grew up on the family farm outside of Oquawka, Illinois. In 1924 her parents purchased their own farm in Monmouth, which they later lost due to the devastating impact of the Depression on agriculture, and it was there that she first met her future husband, Kenneth Monroe Irey, a student at Monmouth College. The newlyweds moved to New Jersey in 1931 where Kenneth was transferred for work. As a chemical engineer, Kenneth enjoyed a successful career and comfortably supported his wife and two children. Retiring in 1970, he and Katherine spent their later years pursuing two passions: traveling and bird-watching. 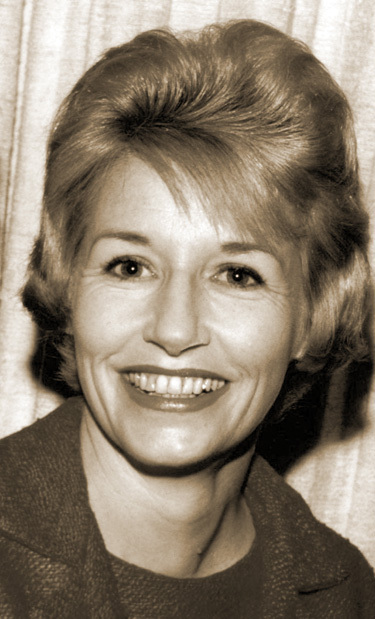 Kenneth and Katherine’s eldest daughter, June Irey Guild, spent most of her adult life in Massachusetts where she has married twice, raised six children, and operated her own business. During her retirement years, June focused on preserving her family’s history by collecting letters and recoding family narratives. The Burgett-Irey Family Papers chronicle the changes that many twentieth-century American families experienced as the nation descended into an economic depression, entered into a world war, and emerged as one of the most powerful countries in the world. The collection, which will continue to grow, includes approximately 65 letters between Katherine Burgett Irey and her family. Most of the letters exchange family updates, particularly precious after Katherine relocated to New Jersey. Among the earliest letters is an account of Katherine and Kenneth’s first meeting described as “fast work,” since he asked her out on the spot. Also included are autobiographical writings by Kenneth describing his cross-country trip to California in 1927 and a brief history of his life and career.